Plastic injection molds need to be cleaned regularly. This is to maintain and extend the service life of plastic injection molds and improve the stability of molds. However, some plastic injection molding companies frequently clean molds, causing secondary damage and reducing the quality of mold use. After injection molding, there is usually dirt or remains on the mold. For different kinds of residues, the final cleaning requirements will be different, such as chlorinated polyethylene. Other residues are separated from flame retardants and antioxidants, but are corrosive to steel. Some pigments can rust steel and rust is difficult to remove. Even long-term storage water, if placed on the surface of the untreated mold, will cause long-term damage to the mold. The processing speed in process index is very important in plastic injection molding. Because it is not only related to the processing cycle of plastic injection molded parts, but also determines the economic cost of processing. EDM processing speed refers to that under certain pulse parameters, the workpiece is etched away a certain mass and volume in the same unit time, which can be expressed by volume processing speed or mass processing speed. On the same surface roughness of mold steel, the maximum processing speed of the electric pulse at the time of electrode loss is an important indicator to measure the electrical pulse processing and machine tool performance. In general, the plastic injection molding manufacturer gives the maximum machining current and the highest machining speed that can be achieved under optimal machining conditions. Therefore, in our actual machining, due to the ever-changing size and shape of the workpiece, the machining conditions and the chip removal conditions are different from the ideal state. Even in the roughing of the machining center, the machining speed is often much lower than the maximum machining speed index of the machine tool. Plastic injection mold, is also known as injection molding, is a tool for producing plastic products. It is also a tool for giveing the plastic products complete structure and precise dimensions. 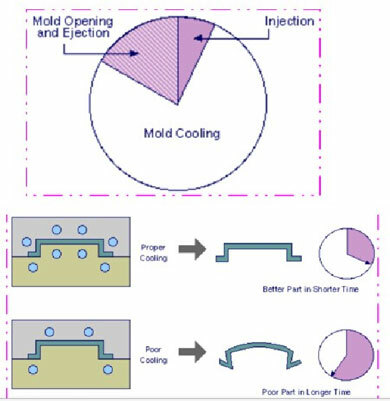 Injection molding is a processing method used in the mass production of products with certain complex shapes. Specifically refer to the material melted by heat is injected into the mold cavity by high pressure, and after cooling and solidifying, the molded product is obtained. Injection mold molding technology is a commonly used plastic product production method. 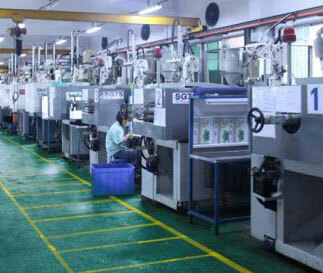 Many types of plastic products are produced by plastic injection molding machines. For example, mobile phone shells that are popular, some injection mold manufacturers have find that TPU, PC material products have lower acceptability, because the silver streak on the surface effect the quality. What are the causes of the problem? How can we solve it? These defects are mainly due to stress in the vertical direction of tensile stress during the injection molding process. 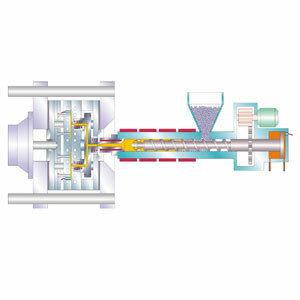 The use of weight polymer molecules shows a difference in the rate of completion of the heavy flow and non-oriented portions. Everyone knows that the raw material of injection mold is steel. 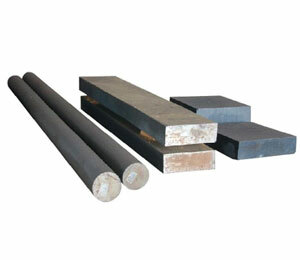 It is reasonable to say that steel is not susceptible to rust. However, in the injection mold factory, it is sometimes found that the injection mold made of steel has rust. Many people do not understand. To make the mold with high quality, simple structure, reasonable price. Learning advanced manufacturing processes and manufacturing methods, and also in - depth enterprises, Find out the problems occurred in the processing of the mold and solve the problem in time. Plastic injection mold HS code. Professional injection mold manufacturer in China, has rich experience in export, mold making,custom molding,trobuleshooting, etc.